One-off spring cleaning is a task that many of us undertake on a yearly basis, but it can often take a lot of time and may be something you dread doing. With One-Off Cleaning this need not be a headache anymore as we can take care of your one-off clean for you. Operating in Upminster on a regular basis, we can meet a whole host of timescales and requirements, ensuring your home is spick and span in next to no time. We’ll bring everything we need for the job too so you don’t have to worry about a thing. All you have to do is contact our team on 020 3397 3282 to receive a free estimate and to discuss your individual requirements. Booking one-off cleaning has never been so easy! When it comes to hiring a house cleaning agency you’re going to want to be able to trust the cleaners who are coming to your home. You’re going to want reassurance that they can do the job to your standards and that all of the cleaning will be carried out to your budget. With One-Off Cleaning you can have complete peace of mind that we only employ the most qualified one-off cleaners in the RM14 region, thus your job will be done to the highest of quality. Trained in all aspects of cleaning, including deep cleaning, they’ll take great care when cleaning your home. We are esteemed within the Upminster region because of our professionalism, our affordability and our dedication to carrying out each job in such a way that our customers are 100% satisfied. If you choose our one-off cleaning services in RM14 we guarantee that you will be more than happy with the job we carry out and if you aren’t, we’ll give you your money back. This is even available on our end of tenancy cleaning, so if you’re a landlord or a tenant and you need help with getting the place back to a pristine condition, we can help with that too. Book today by calling 020 3397 3282. Upminster is found within the London Borough of Havering and forms a large residential area with a number of shopping streets. There are a number of iconic places within this area including the Upminster Windmill, which is found in the open space of Windmill Field and is Grade II listed. Hornchurch Stadium is also located here and is the home ground to football club A.F.C Hornchurch. The Tithe Barn Museum is a further place of interest and contains a number of artefacts of agricultural and domestic use. 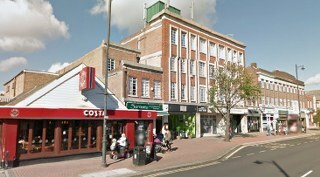 Much entertainment is brought to the area in the venue New Windmill Hall, and transport links are also found with Upminster Station. Should you need help with one-off cleaning in Upminster, RM14, look no further. Our cleaning firm offers a vast range of options so we can uniquely tailor one of our packages to your requirements. It doesn’t matter whether you need us for standard domestic cleaning or you have a more in-depth requirement, we’ll be able to cater for you. We even offer a same-day service for last minute needs. Your cleaning need not be a headache, so call our team on 020 3397 3282 and receive a free quote, which will demonstrate exactly what we can do for you. We guarantee you the best value for money in the district and we are certain you won’t find our high quality of service at a lower price anywhere else.